If there’s one thing that comes in the way of our lush, long-haired lives, it’s those dreaded split ends. They are our hair’s worst enemy and cause our strands to fray at the ends. Definitely not a good look, right? Well we tell you how to fix all those split ends caused by heat damage and dryness without having to cut them. Read on for a few of our fave fixes to treat them right at home. Hair hacks at home can be a bit time consuming but offer great results. Make sure you have 2-3 old tees you don’t mind getting dirty; a brush/spoon to help you apply your concoctions, and separate mixing bowls for all DIY preparations in the kitchen. Watch your favourite show or talk to a BFF as your hair gets healthier, and split-free! You knew it helps keep your gut healthy, but did you know it works as a hair hack too? 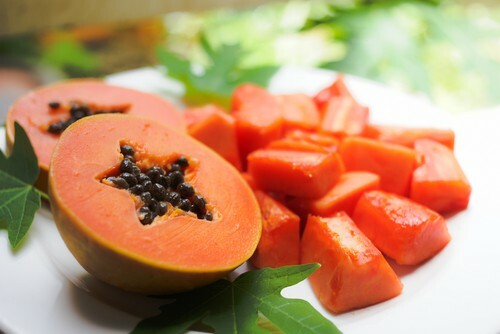 Rich in protein and amino acids, papaya will help keep your ends strong. Step 1: Take 1 papaya, de-seeded, and mash it up real good. Step 2: Mix it with ½ cup natural yogurt. Step 3: Apply onto hair and let it sit for 45 minutes or so before washing it off with a shampoo. 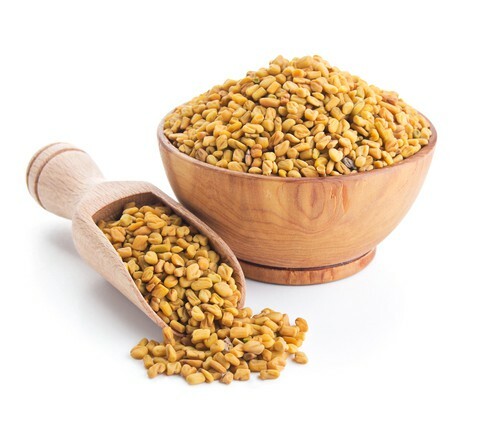 Straight out of grandma’s books, fenugreek seeds (methi) are a great kitchen wonder when it comes to curing dandruff, and your damaged ends. Step 1: Take 2 teaspoons of fenugreek seeds, powder it and mix it with 2 tablespoon of yoghurt. Step 2: Make a smooth paste and apply it with brush on scalp through ends. Step 3: Leave it for 20-30 minutes and then rinse off with cold water. If you have fine hair, and split-ends, you have our sympathy. But you’re gonna need more than that. Load up on proteins and essential oils with this natural fix. Step 1: Take half a mashed banana, add 1 egg white,1 tablespoon of coconut oil, olive oil and honey each, and run it through the blender. Step 2: Add 2 tablespoons of water to make sure it’s thoroughly mixed. Step 3: Apply this concoction on your hair and leave it on for 30 minutes. Step 4: Rinse it out with a clarifying shampoo. Wash your mane with cold water to seal hair cuticles. If your hair is dry and brittle, it’s more prone to splitting. 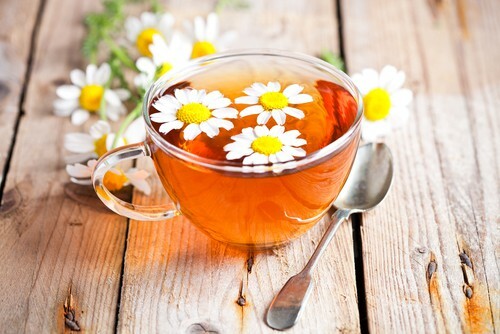 Giving it a boost of nutrients can reduce breakage and split-ends too. And guess what does that perfectly - yes, mayonnaise. 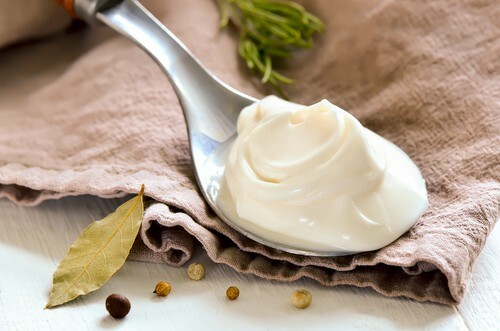 You can use store-bought mayo (just make sure it is made with natural ingredients and does not contain added flavours) or try making your own with egg yolks, vinegar, and oil, (minus preservatives, chemicals and flavours). It has L-cysteine, an amino acid that can give your hair strength, volume and structure. Step 1: Use your fingers to work half a cup (or more) of mayonnaise in your hair and massage it into your scalp. Use your fingers to comb it through your strands to ensure they are coated till the ends. Step 2: You can wrap a hot towel around your head (keep changing towels if necessary), or use cellophane wrap and keep it on for 30 minutes or more. Step 3: Shampoo your hair and rinse your hair thoroughly with lukewarm water. 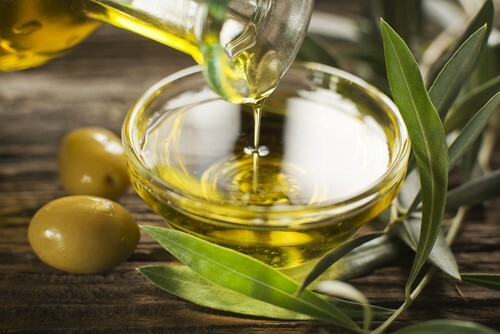 A boon for us girls, olive oil is a relaxing and effective ingredient when it comes to those annoying split-ends. Try this fix when you have some time on your hands. Step 1: Mix olive oil, castor oil and mustard oil in equal quantities and apply from root to tip. Step 2: Wrap your hair with a warm, Turkish towel to avoid breakage. Step 3: Keep it on for an hour and wash it off with a mild shampoo.